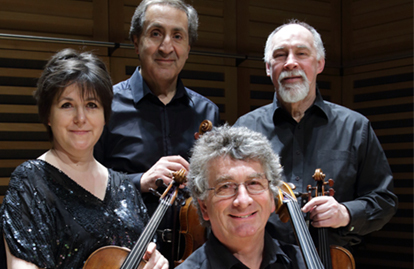 The Romanian Cultural Institute and The London Chamber Music Society are proud to present George Enescu's magnificent String Octet within the 2013-2014 Classical Season at Southbank Centre, the Purcell Room. Alongside Enescu’s masterpiece, the programme features the Second String Sextet by Brahms. The recital will be performed by one of the most reputed British ensembles, The Chilingirian Quartet, and guest string soloists Horia Văcărescu – violin, Alexander Sitkovetsky – violin, Vladimir Mendelssohn – viola and Alexander Chaushian – cello. For nearly four decades, the Chilingirian String Quartet has thrilled critics and audiences around the world with its vibrant, virtuosic performances of classical and contemporary chamber music. Their sound is powerful and precise, richly interpretive and yet always true to the composer's vision. Today, the quartet continues to build on its legacy with an energetic touring schedule, an ever- expanding repertoire, and a series of acclaimed recordings for the Hyperion and Chandos labels. Chilingirian String Quartet started adding Enescu scores to their repertoire by giving the final recital of the 2011-2012 Enescu Concerts Series at RCI London, in June 2012.